A man who saw his vehicle being stolen from a parking lot was allegedly rammed by the person who took it. 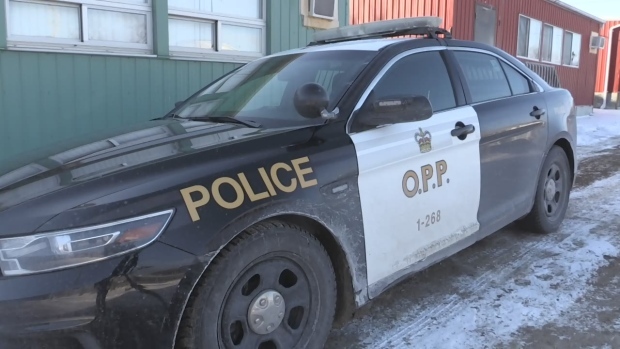 The Wellington County OPP says that it was called on Feb. 6 just before 6 a.m.
A complainant told police he saw his pickup truck being taken from a parking lot on Nicholas Beaver Road in Puslinch Township. It was reportedly being followed by a black Escalade. The man and his friend then followed the vehicle in his friend’s car. The stolen pickup then reportedly stopped and reversed at high speed toward them. Police say the driver of the pursuing vehicle tried to turn to avoid crashing into it, but was struck on the driver’s side door. His vehicle sustained significant damage. They stopped pursuing the vehicle, which was last seen going west on McLean Road.